Earlier today, Albert Karimov visited the city of Mendeleyevsk, where he inspected the production site of Ammoni. 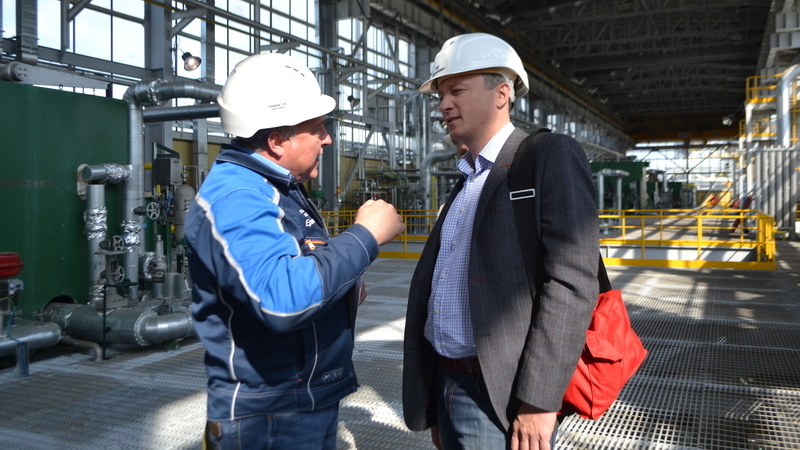 Its Chief Engineer Eduard Eremeyev elaborated on the company’s production processes and outputs: ammonia, methanol, granulated urea, ammonium nitrate, and non-concentrated nitric acid. Further on, a working meeting was held with top executives of Mendeleevskazot and Ammoni. The Minister was informed about the current state of their production and economic activities, and the parties discussed the action plan to optimise operational activities in 2018-2019.